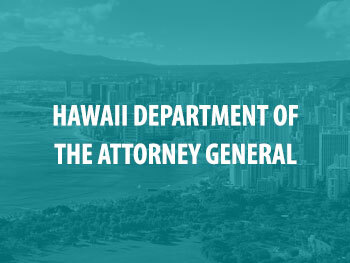 SAKI awarded Hawaii's Department of the Attorney General a grant in the amount of $2 million, which it will use to test SAKs, assist with victim notification and services, and continue the multidisciplinary community response team that is currently engaged in reforming SAK management, tracking, and testing. Funded in 2016, the Hawaii Department of the Attorney General has successfully launched a media campaign to highlight the work they are doing as part of their SAKI program. These efforts include public facing website (July 2017) and a PSA (August 2017). To learn more about their progress, read below for other news and events out of Hawaii Department of the Attorney General. Honolulu PD has sent all previously unsubmitted sexual assault kits for testing and have found DNA matches for hundreds of cases. Law enforcement in Hawaii have tested more than 1,500 previously unsubmitted sexual assault kits that have led to 120 DNA matches in national offender databases, 19 of which matched DNA taken from a separate crime scene and repeat offenders. Maui County has completed testing on more than 100 sexual assault kits dating back to 1999. So far, testing has resulted in 13 hits in the national DNA database. Hawaii’s Sexual Assault Kit Initiative multidisciplinary team has completed the submission of 1,513 previously untested SAKs for DNA testing. Between July and September of 2017, Hawaii submitted 614 previously untested sexual assault kits (SAKs) for testing, up 72 SAKs from the previous quarter. A new Public Service Announcement (PSA) video under Project Malama Kakou aims to reach sexual assault survivors who may feel isolated, sharing caring and victim-centered support and information services. The PSA is located at ag.hawaii.gov/hisaki. To learn more, visit the link and read the full article. Hawaii has launched a new website that offers resources and support for victims of sexual assault, including information on how to track a kit as it goes through testing for DNA evidence. The website also includes a description of Project Malama Kakou, a list of Sexual Assault Kit Initiative team members, frequently asked questions, information on survivor notification and services, and a dashboard reflecting the number of kits submitted for testing. To learn more, read the full article. The Attorney General of Hawaii recently released a report of inventoried, untested sexual assault kits, and a plan to test them. The report outlines untested SAKs within each county and details testing capacity, plans for public outreach, and recommendations for legislative action. Additionally, a working group has established the Malama Kakou Project, a state plan to test untested and new SAKs, identify the criteria for testing and order, provide active public outreach and notification, and establish a SAK tracking system.